TGOOD produces switchgear units for projects around the globe. 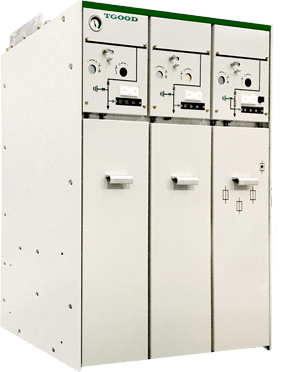 Medium voltage metal-clad and metal-enclosed switchgear offers innovative features to ensure safety and durability in a product ideal for space-constrained environments. Integral substation component in power generation and distribution for mining, oil and gas, and utilities. Switchgear sold loose or housed within a complete prefabricated substation, mobile substation or E-House. Compact designs use up to 33% less space than previous generation switchgear. Convenient access to primary components for straightforward maintenance and overhaul. Built and tested to IEC and relevant European safety standards. Automated bending and machining of cabinets and busbar in ISO 9001 certified facility. German-engineered arc-resistant design ensures highest level of personnel safety. Arc-resistant door incorporates mechanical interlock labyrinth seals. Fast acting arc-vent flaps on roof or rear panel rapidly dissipate arcing energy. Flexible layouts meet industry configurations and space requirements. Digitally-monitored intelligent circuit breaker and current transformer modules for fast and reliable fault clearing. Shielded CT and circuit breaker control cables resistant to electromagnetic interference. Aluminum or galvanized steel provides exceptional corrosion resistance. Maintenance-free switch components and large creepage distances deliver reliable electrical performance. Internal climate control systems eliminate corrosion in environments characterized by high humidity and rapid temperature changes.